Last week, I stopped by the Zana Bayne F/W 2012 presentation here in New York to check out some really cool leather accessories. 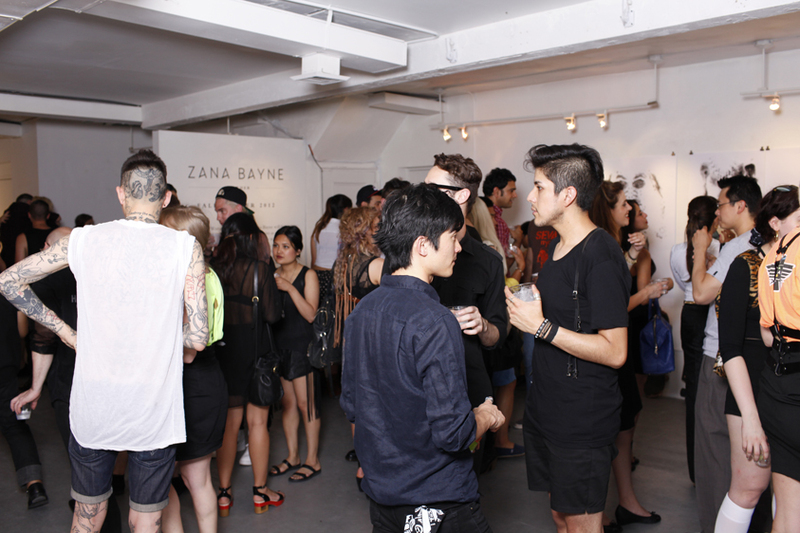 I wasn’t to familiar with the line but from the looks of it, it seemed as if Zana Bayne’s pieces have been featured in high gloss fashion magazines like Vogue Italia & Japan, i-D, Interview, and on famous celebs like Lady Gaga, Madonna, and Ciara. Intrigued enough from this information alone, I quickly popped in to meet with the designer herself to check out her lastest collection. 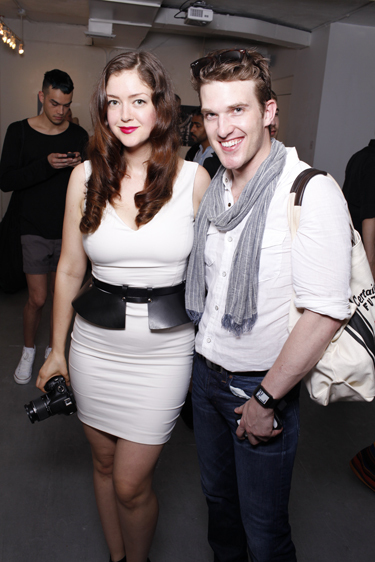 Accompanied by my photographer friend Andrew Day, he captured some great shots of the event for Stylesource. A series of shots that greeted us as we walked into the event. This was one my favorite pictures of the series I snapped for Instagram. I loved the chrome accents set against the white leather. Very chic! 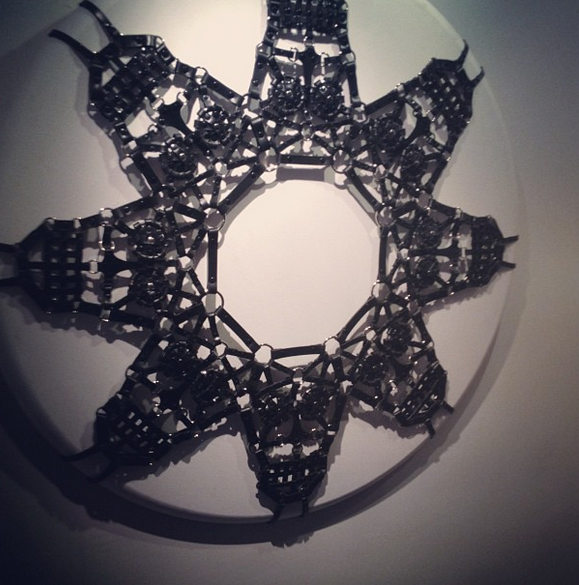 Another shot I snapped for Instagram, I feel in love with this harness wheel on the wall. It’s literally eight harnesses connected together to create this work of art. If you look closely, the back of each harness depicts the head of skulls resembling Dia De Lo Muertos Mexican decorations, inspiration behind much of the collection from what I’m told. I would totally rock one of these over a simple white V-neck tee-Just saying! 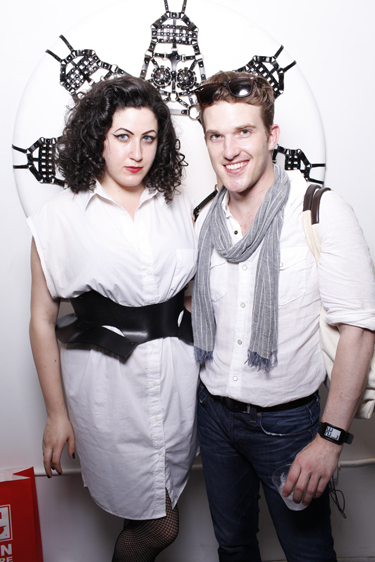 Myself & designer Zana Bayne posing behind the really cool harness wheel! A shot of myself and another photographer friend. She was wearing one of Zana Bayne’s leather belts over this simple white dress. Style tip: A great way to dress up an ordinary dress is to belt it! In this instance, she went from a LWD (Little White Dress) to a peplum style with just a buckle. Huge trend right now! 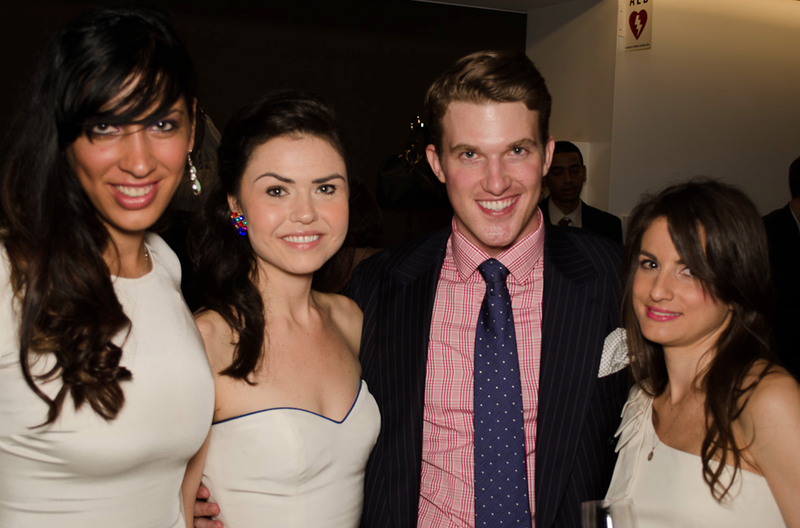 A great mix of fashion goers in the industry and supporters of the designers. Many people were even wearing her designs. Always great to see! We had to get a shot of these two. 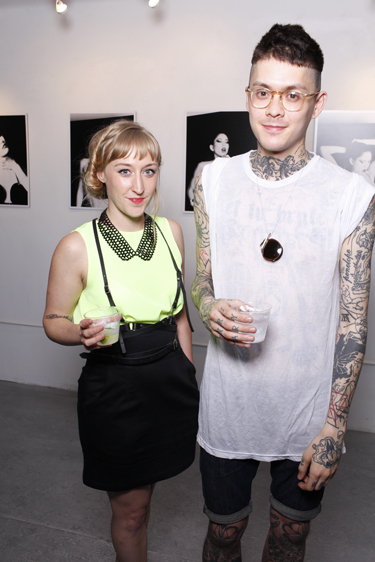 I loved her metal collar necklace and this gentleman was literally covered in tattoos head-to-toe. I would love to pick his brain and ask the meaning behind each one. Last week, I attended the VIP cocktail party and ceremony for the 6th Annual Handbag Designer Awards at the Time & Life building here in New York. I really enjoy being apart of this particular project and what Emily Blumenthal, the creator behind these awards has created. She’s not only a fairy god mother to the handbag world, but has created a platform for designers to really be seen in an industry that can sometimes be tough. Fashion for good! 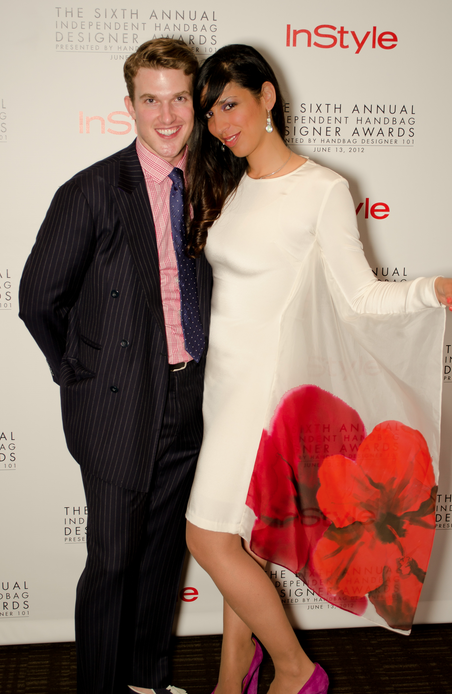 Congratulations to the stunning duo behind ita Collection for taking home overall best design. Can’t wait to see you in the September issue of Instyle Magazine! 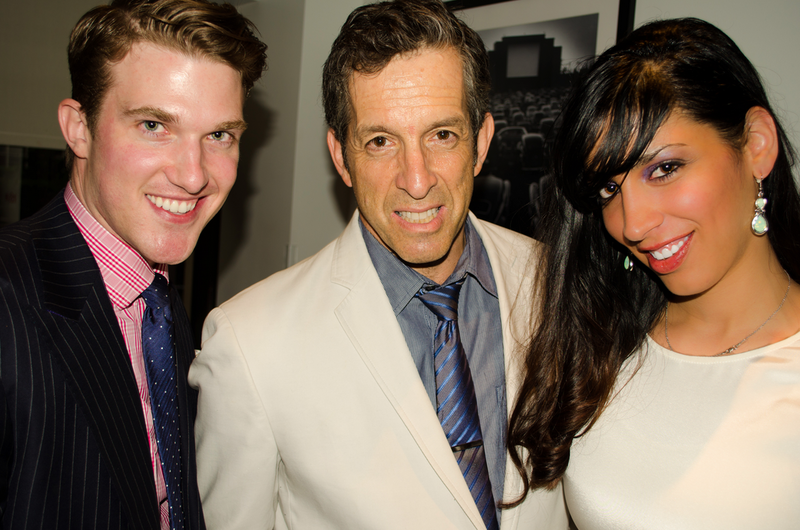 Shout out to Kenneth Cole as well for his Iconoclast award. It was great to meet another friendly face in the world of fashion. 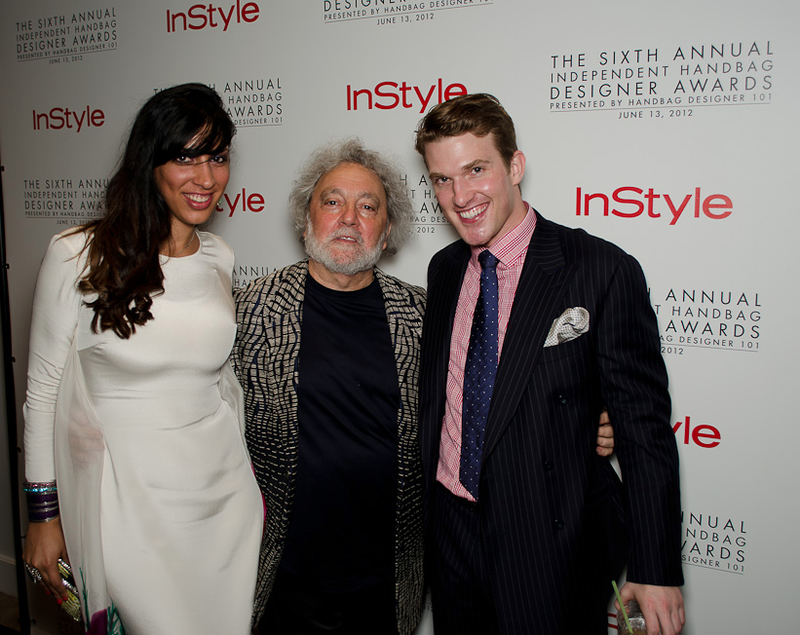 Check out some great shots my friend Stefano Castri took of the evening for Stylesource! Thank you J.Hilburn and Hadleigh for dressing me for the evening. Also, thank you to Anthony Manfredonia and Clara Kasavina (Last years winner!) for dressing my date. BTW-Those Flowers were literally hand painted onto the dress! It was great to catch up and chat with two women I admire most for their sense of style-Miss Emma Grady and Dawn Del Russo. 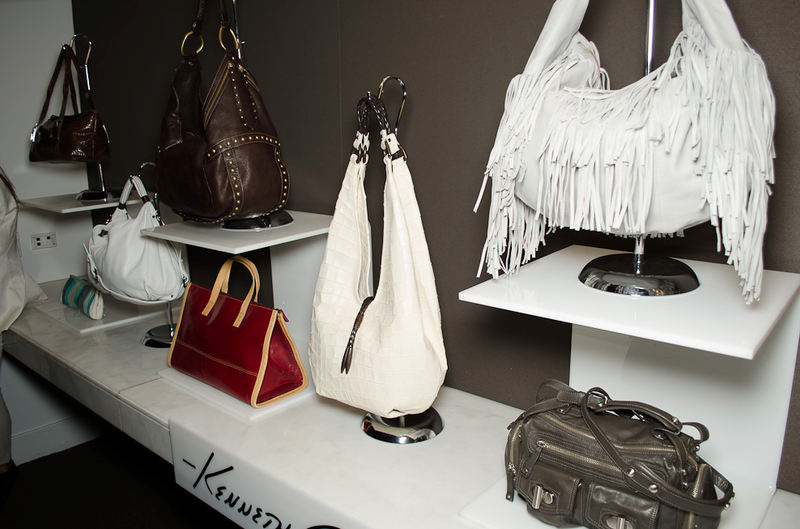 A great shot of some of Kenneth Cole’s latest creations! MR. KC himself in the flesh! The god father of the handbag world, Mr. Carlos Falchi! From what I hear he designed the blazer he was wearing that evening. Emily Blumenthal and Kenneth Cole having a laugh. I love these candid shots! Bras as Tops for Summer!? I was recently asked by 303 Magazine to offer up some great ways to style the bra top trend you ladies are all flaunting this season. A chic way to stay cool on those scorching hot days however, this doesn’t apply to all body types. You need to keep in mind your stomach will be exposed, so if you’re not to fond of showing off the belly, a great tip is to stick to anything high waisted when it comes your bottom half. This will be sure to cover up that muffin top you might be looking to hide. For some more fun ways to style this trend click here. Tell us your favorite way to wear this Summer time favorite! 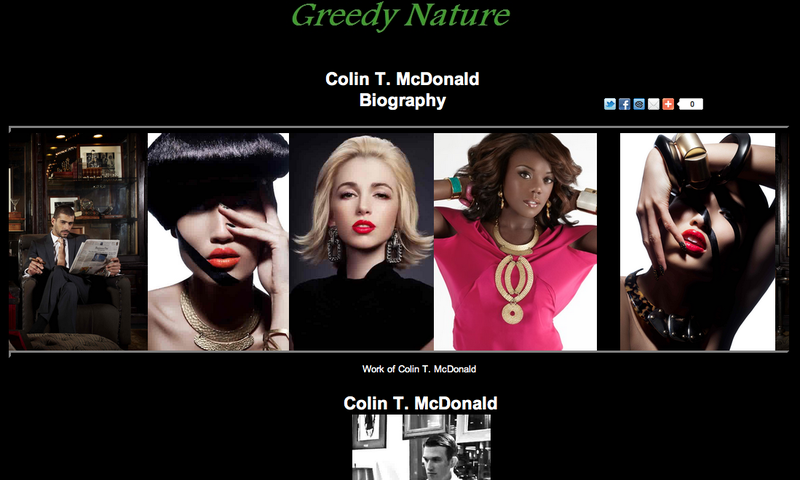 I was recently asked to do an interview for Greedy Nature to talk about what exactly it is I do. I’m very appreciative for those that are interested in finding out more about my professional life. If I can inspire any others to follow their dreams through my work, then I’ve done my job. To read the entire interview- Click here. This past Fashion Week I had a blast checking out all the latest collections when it came to the F/W 2012 run here in New York. Yes, the Summer season might have just got underway however, in fashion we’re already thinking about the Fall and Winter months and so forth. Time flies double when you’re having fun and work in fashion! With that said, Maniac Magazine wanted to follow me during the week to find out what the latest and greatest designers were creating. Here are my top picks from A-Z featured in their May/June Issue with Hollywood Actress Tara Reid on the cover. P.S.-My favorite highlight of the whole week? Meeting Diane Von Furstenberg herself and having her tell me,”You seem like you have a great sense of style!” She also let me snap this great photo of her for all her fans, jealous!? I recently was asked to contribute to the May/June issue of Maniac magazine featuring Hollywood Actress Tara Reid on the cover for their Shops Section. The theme this time around was anything and everything nautical. Onto my favorite sources and this is what found! This past fashion week here in New York, styleTV stopped by the Marusya Presentation at the Peninsula Hotel to check out their Fall Collection for the upcoming season. We were surrounded by some of fashion’s elite and a celebrity or two including Kelly Rutherford from the hit television series Gossip Girl. When I saw Kelly, I pulled her aside to talk fashion of course and we had a ball. She absolutely loved the raw denim bow-tie I was wearing that evening and couldn’t resist touching it. To find who some of her go-to designers are when on the red carpet watch the segment below. 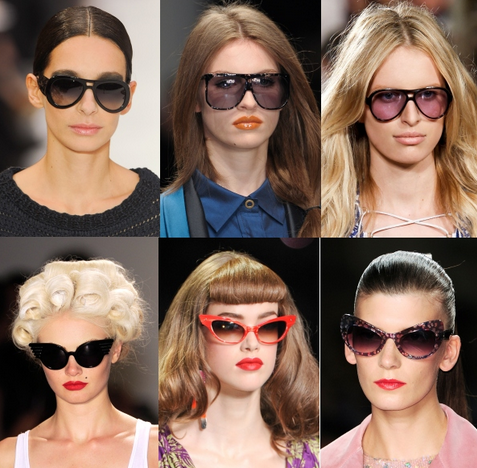 I was recently asked by Hercampus to comment on the latest trends when it comes to eyewear this Summer. Sometimes finding the right shape to flatter your features can somewhat be difficult within a sea of designers. A great tip to keep in mind if you’re unsure, keep it simple and keep it classic. For more tips Click Here. Stylesource recently got its first big piece of press thanks to our friends over at The Blush. We were included in a regular feature they like to call “How We Dress.” This particular edition was all about their favorite style bloggers and we are so thankful to be included in this list. To find out one of my most embarrassing moments in fashion Click Here.